Real Estate Auction: 358± Acres Offered in 6 Tracts – Woltz & Associates, Inc.
Tract 6 Will Be Sold ABSOLUTE! 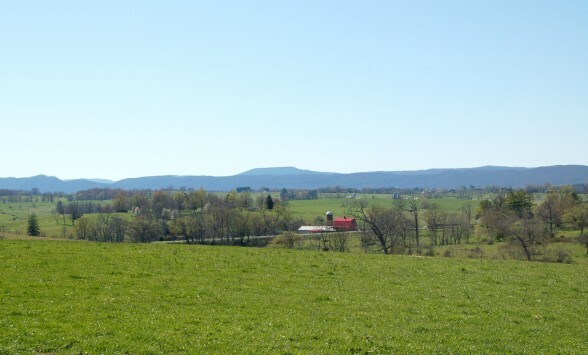 This auction offers the opportunity to buy all or part of a desirable 358± acre property conveniently located between Dublin and Pulaski in the Blue Ridge Mountains of Virginia. 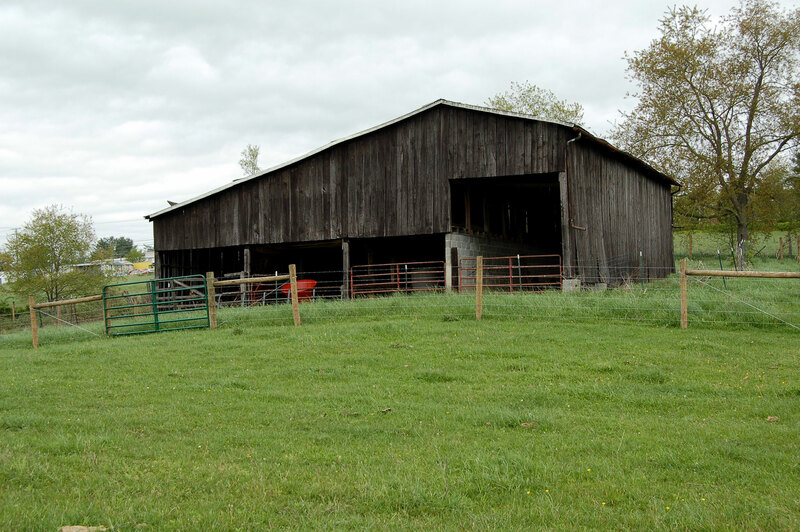 The farm, which has great development potential, will be offered in six tracts. Tracts 2 – 5 are zoned CM, Commercial (formerly CM-1). A portion of Tract 1 is zoned CM and the remaining portions are zoned R, Residential and HR, High Density Residential (formerly R-3). Tract 1 has access to public water at two points on the west side of Hatcher Road. The property, with two parcels located at the corners of U.S. Route 11 (Lee Highway) and State Route 807 (Hatcher Road), has more than 1.9 miles of road frontage. 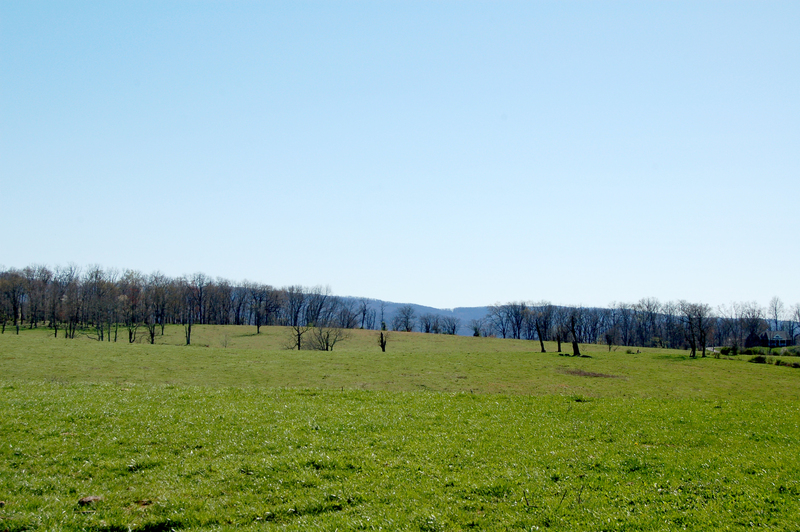 The land is gently rolling with approximately 310± acres in pasture and most of the balance in hayfields. The boundary features a pond, a stream and several desirable building sites with expansive views of the surrounding mountains. Improvements include a barn, outbuildings, an old farmhouse, and a frame house that was previously a rental property. 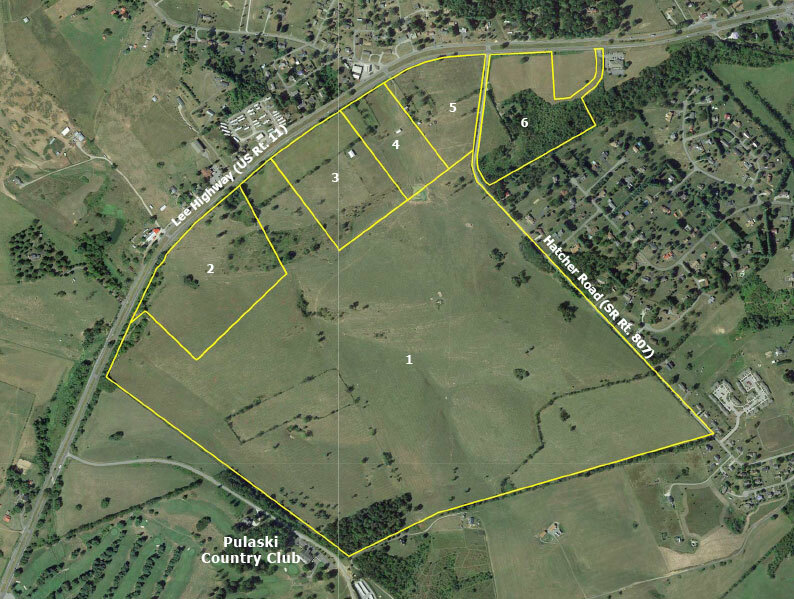 Pulaski Elementary School, Pulaski County High School, Pulaski Country Club and residential developments are within one and a half miles of the property. Lewis Gale Pulaski Hospital is only two miles away. The property is 40 minutes from Blacksburg and Virginia Tech, 30 minutes from Claytor Lake State Park and the New River Trail, and 1 hour from the Roanoke-Blacksburg Regional Airport. 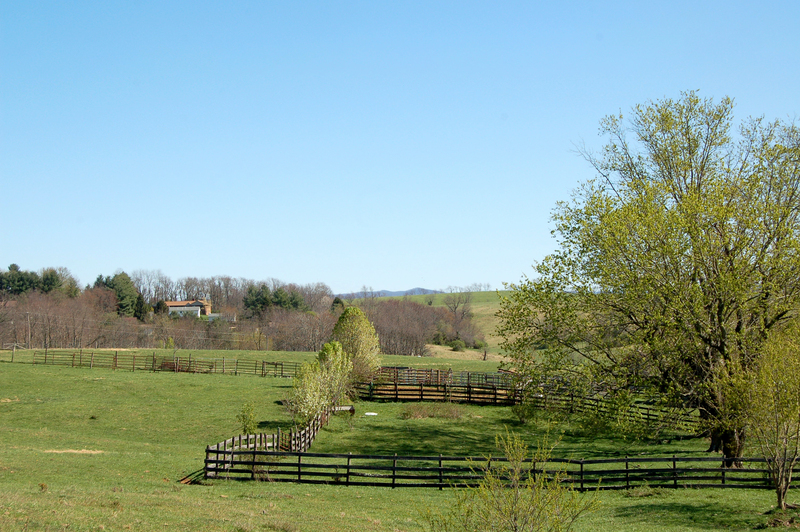 The Virginia Horse Center in Lexington is less than 100 miles from the property. The property is identified as Pulaski County Tax Map Parcels 055-001-0000-018A, 055-001-0000-0029, 055-001-0000-029A, 055-001-0000-0065, 055-001-0000-0066, 055-001-0000-0067. All parcels are currently in land use. 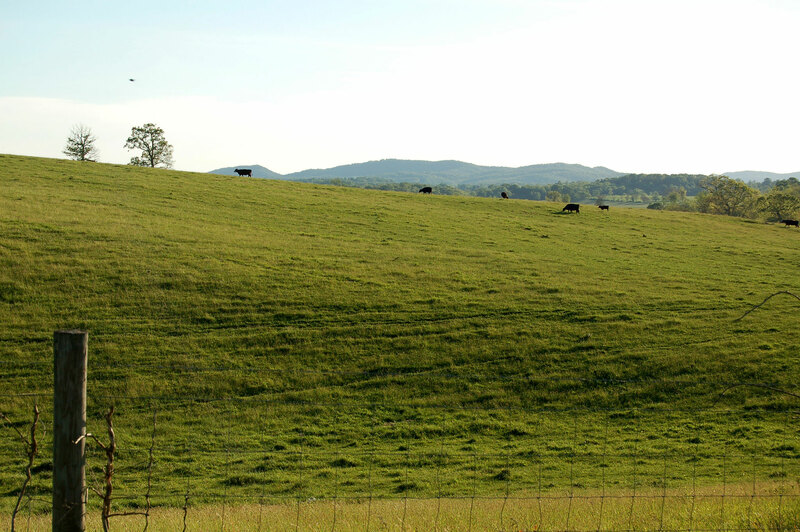 Tract 1: Most of this fenced 261± acre parcel with extensive frontage on Lee Highway (949± ft.) and Hatcher Road (3,623± ft.), has been utilized as pasture for grass-fed beef production or hayfields. The panoramic views are spectacular. Water features include a small stream and a pond. Two connections are available for extending public water to this parcel from the west side of Hatcher Road. Tract 2: A small stream flows through this 28.2± acre tract that has 1,723± ft. of frontage on Lee Highway. 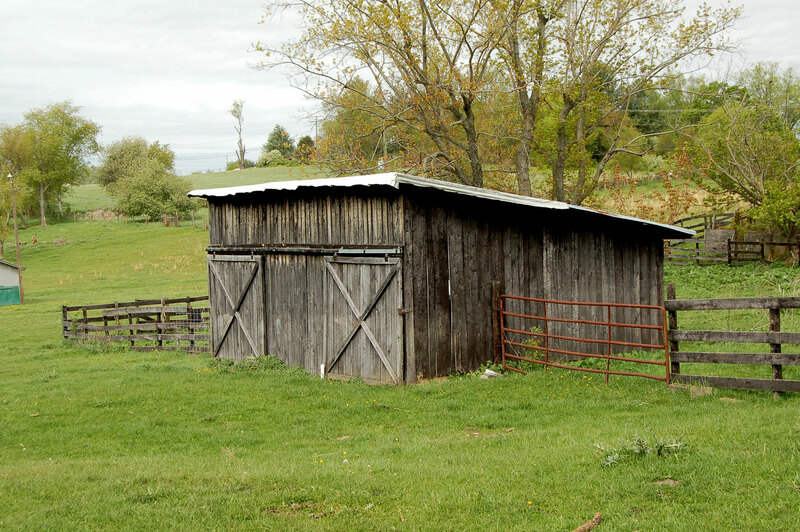 Tract 3: A 42 ft. x 54 ft. barn with loft is located on a hilltop on this 20.4± acre tract that has 812± ft. of frontage on Lee Highway. Tract 4: This 12± acre parcel with 497± ft. of frontage on Lee Highway is improved with a cinderblock shop and a frame building. Tract 5: Located at the corner of Lee Highway and Hatcher Road, this 14.7± acre tract is improved with a farmhouse constructed in 1900. It has been vacant for several years. There are several outbuildings on this tract that has 1,953± ft. of road frontage, 926± ft. on Lee Highway and 1,027± ft on Hatcher Road. 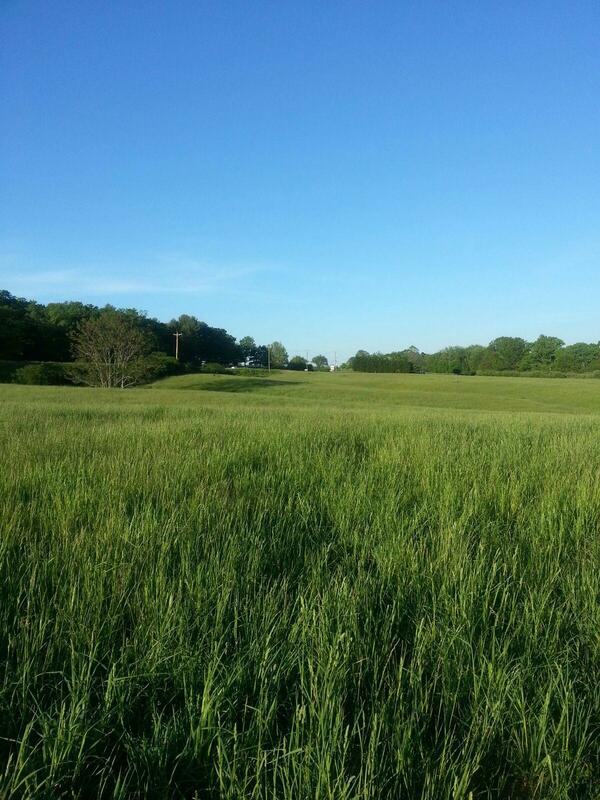 Tract 6: This level 21.0± acre corner parcel is currently a hayfield. It has frontage on two roads, 702± ft. on Lee Highway and 1,283± ft. on Hatcher Road. A small frame house is located near the rear of the property. THIS TRACT WILL BE SOLD ABSOLUTE! From I-81 North: Take Exit 94 (Pulaski) and turn onto Rt. 99 North toward Pulaski. Go 3.0 mi. and turn right on Edgehill Drive. Go 0.3 mi. and turn right on US Rt. 11. Property (Tract 1) begins 3.2 mi. on the right. 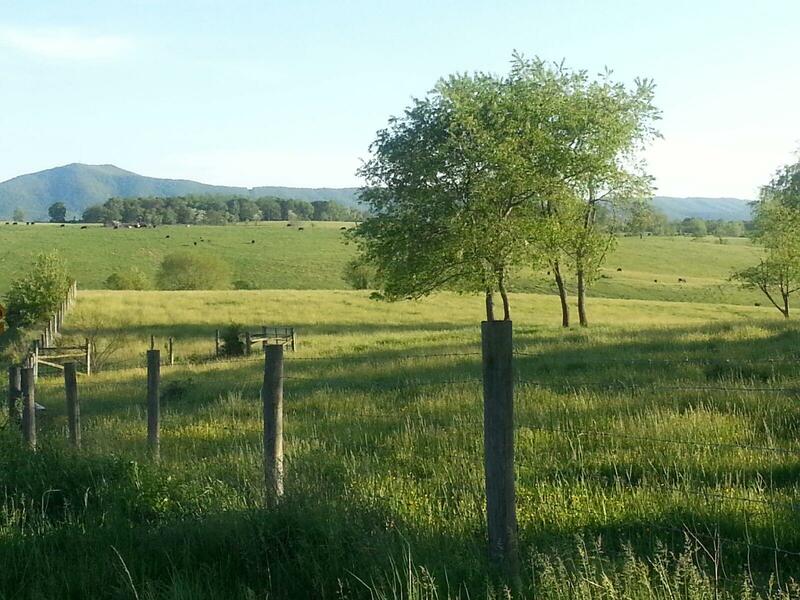 Address (House on Tract 4): 4396 Lee Highway, Pulaski, VA 24301. From I-81 South: Take Exit 98 (Dublin). At end of ramp, turn onto Rt. 100 North toward Dublin/NRV Airport/New River Community College. Go 1.5 mi. and turn left on Rt.11 South toward Pulaski. 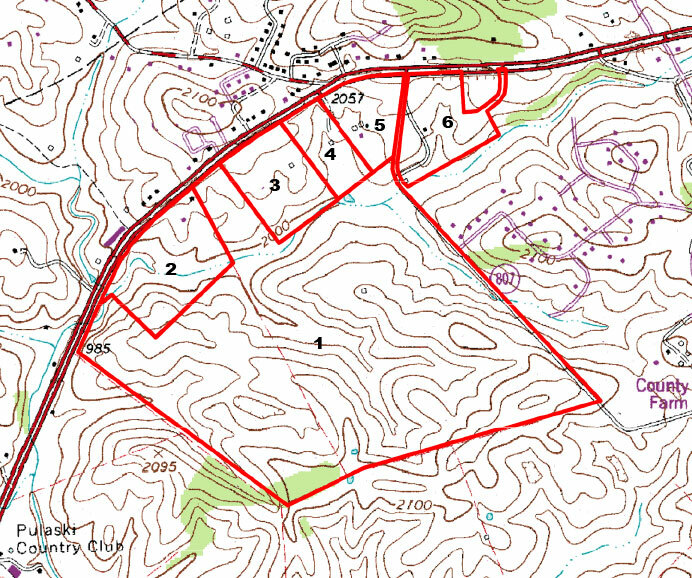 Property (Tract 6) begins 2.3 mi. on the left. Address (House on Tract 4): 4396 Lee Highway, Pulaski, VA 24301. To Sale Site: Pulaski Train Station, 20 S. Washington Ave., Pulaski, VA 24301. From I-81: Take Exit 94 (Pulaski) and turn onto Rt. 99 North toward Pulaski. Go 3.2 mi. and then left on Washington Avenue. Train Station is 0.1 mi. on left.